Don't have a San Diego Comic Con badge this year? Don't fret! This year San Diego Comic Con is blowing up with events outside the San Diego Convention Center! The SDCC campus is bigger and better than ever. 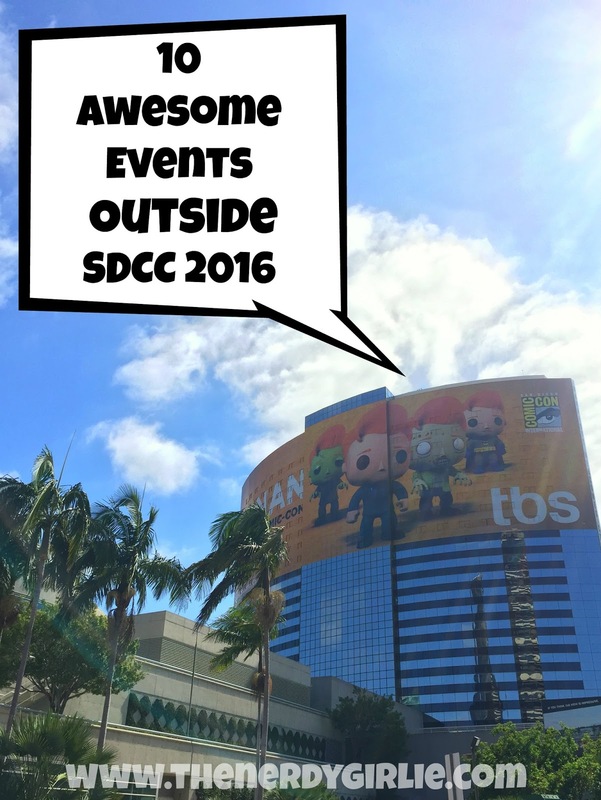 Check out my ten favorite events to attend during this years Comic Con 2016! 1. Game of Bloggers meet-up: Wednesday, July 20. 9:00 PM - 12:00 AM Dragon's Den 315 10th Ave. Hosted by nerd community rockstar Tony Kim of Crazy 4 Comic Con, meet up with nerd bloggers, content creators and fans alike! Last year it reached capacity fast so make sure you get there early! This is the best place to meet and hangout with all of your favorite SDCC friends! 2. SherlockeDCC: Saturday July 23rd. 9th Floor of the San Diego Central Library. The best view in town! In it's 4th year, I'm sad I'll be missing the shenanigans for the first time this year. 3. Geek Girl Brunch: Saturday July 23rd: 6:00 PM - 9:00 PM. The Blind Burrito 639 J Street. Make sure to bring cash for easy bill splitting. Hang with some of the most awesome geek girls at Comic Con! 4. Comic Con HQ: Thursday, July 21 through Saturday, July 23: 9:30 AM–7:00 PM. Sunday, July 24: 9:30 AM–5:00 PM. Stationed at the Hilton San Diego Bayfront. 5. Entertainment Weekly's X-CON: Thursday, July 21 through Saturday, July 23: 10:00 AM–10:00 PM at Embarcadero Marina Park North. My favorite magazine is finally opening its exclusive doors to everyone at Comic Con and I am extremely jealous. Who wants to make me a t-shirt at their t-shirt bar?! They will also feature a concert stage and entertainment zone features exclusive evening concerts and video content. (Lobby Level, North Tower). Thursday, July 21 through Saturday, July 23: 10:00 AM–7:00 PM, Sunday, July 24: 10:00 AM–5:00 PM. The ultimate Nintendo playground for everyone! Enjoy Nintendo 3DS and Wii U game play, photo opportunities, live competitions, giveaways (while supplies last), and more! And they go very fast! But this is such a fun place to cool off and play your favorite games! 7. FX: Thursday, July 21: 11:00 AM–6:00 PM, Friday, July 22 & Saturday, July 23: 10:00 AM–6:00 PM, Sunday, July 24: 10:00 AM–4:00 PM on the Hilton Bay Front lawn. Last year was awesome, but HOT so bring your sunscreen and be prepared to wait in long lines! 8. The South Park 20th Anniversary Experience on the MLK Promenade (Next to the Hilton Gaslamp Hotel): Thursday, July 21 through Saturday, July 23: 9:30 AM–7:00 PM, Sunday, July 24: 9:30 AM–5:00 PM. 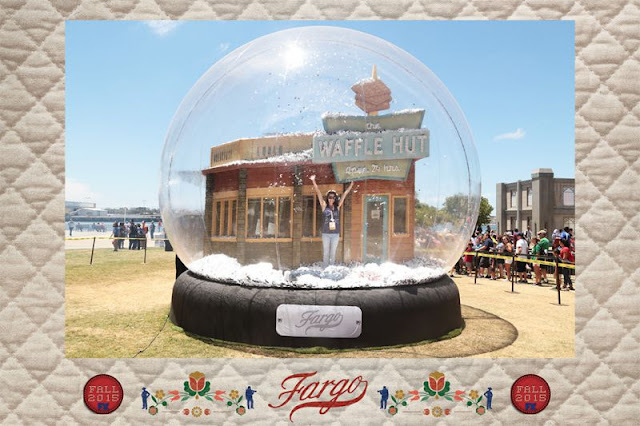 Fans will step into 20 life-size 2D/3D builds of their favorite and most iconic moments. Hangout in the Hulu viewing lounge where you can sit back and watch all episodes of South Park! (Across from the Convention Center). Wednesday, July 20: Media & VIP Preview 3:00–6:00 PM; Open Preview: 6:00–9:00 PM, Thursday, July 21 & Friday, July 22: 9:00 AM–8:00 PM, Saturday, July 23: 9:00 AM–7:00 PM, Sunday, July 24: 9:00 AM–5:00 PM. Neil deGrasse Tyson Presents Space Odyssey headlines a unique exhibition area spotlighting immersive entertainment “VR Con at Comic-Con.” See the latest in VR, including “The John Wick VR Experience,” “NASA’s Journey to Mars” with additional stellar innovators, and much more! Space is one of my most favorite fandoms and I LOVE his show COSMOS on Netflix! Have fun for me nerds! 10. Nerd HQ. The New Children's Museum. July 21-24, 2016. Each year Nerd HQ is the place for all things nerd at Comic Con. 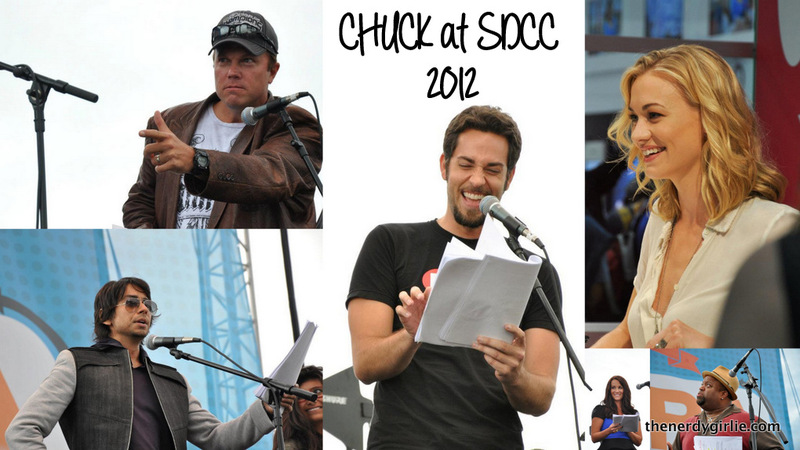 Hosted by Chuck and Tangled's Zachary Levi, nerds converge on the museum to hangout, dance, drink and see panels! Tickets to panels at Nerd HQ this year will be $22 each with a 200 seat capacity. To learn more about Nerd HQ check out our article on Nerd HQ Tips and Tricks! Where are you going to head outside of SDCC this year! Make sure to tag me in your photos +The Nerdy Girlie, I'm gonna be super jealous! Have fun out there nerds! This looks like so much fun!! I really would love to go to SDCC one day.